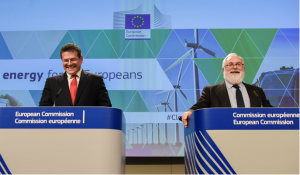 On 15 July, the European Commission unveiled its long-awaited proposals for a deep and meaningful reform of Europe’s carbon market from 2021-30. It neatly turns into law political decisions by EU heads of state and government last October. NGOs have lambasted it for lack of ambition while industry is screaming blue murder about a declining pot of free carbon allowances. Welcome to the start of a two-year battle that is probably the last chance for the EU ETS to reclaim its place as Europe’s flagship climate policy. The European Commission’s latest proposals to reform the EU Emission Trading Scheme (ETS) were long-awaited and did not disappoint in the dust they kicked up. They follow on the heels of a new market stability reserve (MSR), agreed in a historic deal in Brussels in May, that tries to solve the problem of an enormous surplus of allowances in the system that has kept the carbon price firmly in the single digit range since 2011. If the MSR was billed as a prerequisite for a working EU carbon market, the new proposals were intended as the star attraction. European heads and state and government took the unusual step of spelling out in detail what structural reform the EU ETS needs in October last year. It is these summit conclusions that the 15 July proposals effectively transpose. 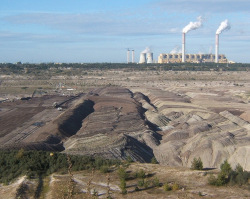 The EU ETS covers about 40% of the EU’s greenhouse gas emissions. The Commission will issue proposals for national emission caps for “non-ETS” emissions next year. The ETS and non-ETS proposals are likely to be debated together, with a deal on both not expected before 2017. In its latest carbon market reform, the Commission ratchets up the annual rate at which the EU ETS cap reduces after 2020 from 1.74% to 2.2% (an increase of a quarter), in line with a 40% domestic greenhouse gas emission reduction target for Europe for 2030. It foresees no new use of international carbon offsets. The Commission creates a low-carbon innovation fund, a modernisation fund, and plans to give extra support for power plants in lower income countries. Most contentious, it revises the process by which manufacturing industries can claim access to free carbon allowances. (Energy companies already have to buy them all on the market.) “This [reform] is really for industry,” said one energy company representative. Reactions were dramatic. 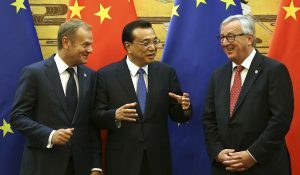 “The Juncker Commission today launched the largest industrial policy decision it will take in its entire mandate,” said the Confederation of European Paper Industries (CEPI). FuelsEurope, representing the refining sector, said the reform would impose on it an additional cost of €10 billion from 2021-30 (this assumes a carbon price of €30 a tonne). Yet Eurelectric, representing energy companies, called it a “balanced” proposal. Others mourned it as business-as-usual. Anja Kollmuss from Climate Action Network Europe said: “This is very carefully implementing the most conservative interpretation of the council’s conclusions.” UK-based Sandbag denounced it as a “step backwards” in curbing allowance oversupply. The hottest political issue from the start has been carbon leakage, or how to pursue compensation for industries at risk of leaving Europe for regions with weaker carbon constraints after 2020. The Commission says its new proposals ensure more targeted compensation for industries that really need it. Certainly there is a change to the way that exposure to carbon leakage is calculated. Industries now need to meet a certain threshold for carbon intensity and trade intensity combined to be labelled as “at risk”. In the past they could qualify under just one of the two criteria. The new formula also removes carbon price from the calculation. In the past, the inclusion of a standard €30-a-tonne carbon price to calculate exposure – when the real carbon price was less than a quarter of that – caused outrage among many. But if these are two significant changes, they are not expected to really shrink the carbon leakage risk list. The Commission estimates that the list today covers 97% of industrial emissions. 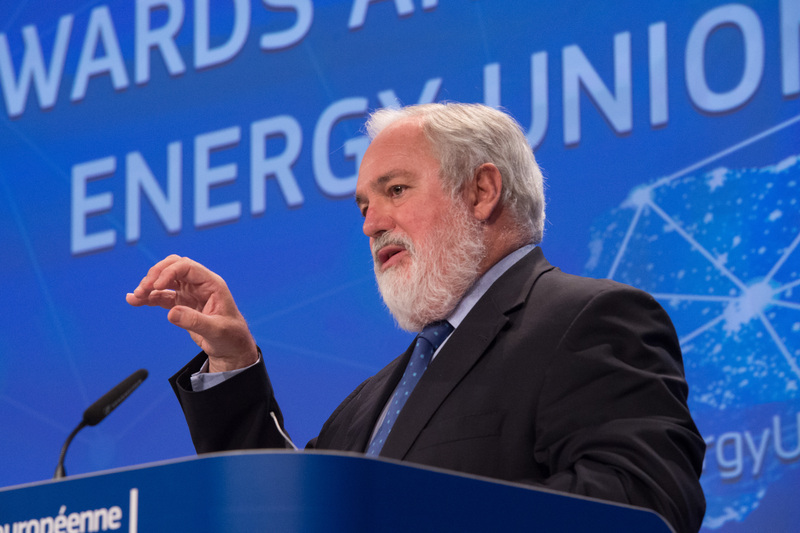 In future, this might drop to 94%, although the total number of sectors on the list would be cut from about 180 to as few as 50, EU climate and energy commissioner Miguel Arias Cañete told journalists on Wednesday. The Commission will adopt a new carbon leakage risk list in 2019, he added. So the emissions benchmarks set by the top performers are critical. And the Commission now proposes to tighten them for every sector by an average 1% a year from 2008 (with +/– 0.5% leeway to take account of particular industries). In practice, it would set a new benchmark every five years. The first new benchmark is due in 2021 and would run until 2025. The second would run from 2026-30. Production data would also be updated every five years, starting with data for 2013-17. For that, in another break with the past, the Commission will calculate an average figure for the period, not leave it to industry to pick a year that suits. What has attracted industry’s greatest ire is that the Commission wants to fix in law the share of carbon allowances to be auctioned – and therefore the share that can be given away to industry for free. The Commission says 57% must be auctioned. This is the share that is auctioned today and European leaders in October agreed that it must not go down. That’s 57% of a total 15.5 billion allowances available under the EU ETS cap for 2021-30. It leaves 43% or some 6.3 billion allowances to give away for free. CEPI and other energy-intensive industries strongly reject this notion of a fixed share of free allowances. For the Commission, updated benchmarks and production data are a way of better targeting free allowances to those industries that need them. It should result in less need to apply the dreaded – by industry – “cross-sectoral correction factor”. This factor exists to trim back industry’s free allocation when the bottom-up calculation of what it needs adds up to more than the total number of free allowances available in the system. How many free allowances would an industry get in 2021? This would be the sum of production data from 2013-17 multiplied by a benchmark that reflects a 1% improvement from 2008-2023, multiplied by 100% or 30% depending on whether exposure to carbon leakage, multiplied by the cross-sectoral correction factor. With more up-to-date benchmarks and production data however, bottom-up demand for free allowances should decrease, the Commission says. Without Wednesday’s reforms, the correction factor would rise to 35% by 2030 (up from 5.7% in 2013), an official suggested. Under the new approach, it will be just 15% by the same date. The Commission also proposes that if there are spare free allowances one year, these are shunted over to later years to help ease the effects of the correction factor if need be. Some, such as Emil Dimantchev, a senior analyst at Thomson Reuters, worry that the Commission is moving away from auctioning as the default option. “Will free allocation to industries not exposed to carbon leakage still go down to zero in 2027 [as per the original ETS directive]?” he asks. “Or will it stay at 30%?” The share of allowances for auctioning was also increasing, he says. Now, the Commission proposes to stabilise it. Many NGOs – and indeed some industries – would have liked to see a still more tailored approach to carbon leakage. In the impact assessment accompanying its ETS proposal, the Commission for example considered creating four “at risk” categories, from very high to low, eligible for different levels of free allowances. It also considered taking into account an industry’s ability to pass through carbon costs to customers as a determinant of exposure to carbon leakage. The Commission found evidence of pass-through in all sectors it said earlier this year – then dropped this factor from its final plans. Organisations like Eurofer continue to insist that they cannot pass on carbon costs because they are globally squeezed. Another nagging question is this: is the EU ETS really rewarding the best performers? The way the system works, is that if you reduce your emissions, you are entitled to fewer free allowances. “Why should you invest in low-carbon technologies if as a reward, you are exposed to higher costs?” asks one industry representative. Another delicate point is that jobs and economic value-add do not always align. “Do you want to protect industry that would not invest, but keeps jobs, or reward investors with fewer jobs?” the same representative asks. Femke de Jong, from campaign group Carbon Market Watch, says 2.2.% will deliver an insufficient 84% emissions cut from the ETS sector in 2050, when it needs to deliver 88-92% according to the Commission’s own 2050 low-carbon roadmap. The 2.2% should be 2.4%, she argues – as the Commission’s impact assessment for its 2030 climate and energy proposals acknowledges. Eickhout plans to push for 2.6%, as well as an emission performance standard that would cap emissions from the dirtiest plants. Others fear that climate laggards such as Poland may go in the opposite direction and seek to introduce a sunset clause for the 2.2% in 2030, with no guarantee of what comes after. 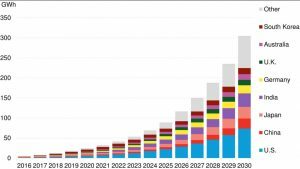 Conversely, de Jong is looking for a way to review ambition upwards in 2025, with a view to bringing the EU ETS in line with the possible mechanics of a new global climate treaty. Commission officials suggest that the European Parliament and Council of Ministers are in a better position to review ambition and propose appropriate amendments after Paris. A second disappointment for NGOs is that there is no proposal to permanently cancel any allowances. In fact, quite the opposite, some argue: the Commission is proposing to use 250 million allowances from the MSR to fund a New Entrants Reserve (NER) that would make these allowances available to industry after 2020 (while the MSR would have kept them off the market). The new NER will also be fed by some unallocated allowances from the current trading period (an estimated 100 million) and it will re-collect any unused allowances due to plant closures or drops in production after 2021. Kollmuss explains why allowances need to be permanently cancelled: “It [the MSR] just shuffles them around. They would be released at some point. So cumulative emissions remain the same.” There is also a fear that as long as they exist, industry will one day succeed in lobbying to bring them to market. Morris agrees that cancelling some allowances might be “the most painless way of getting the EU ETS back on track”. This would in effect equate to tightening the system’s overall cap going forward. The Commission’s decision to start labelling allowances with their trading period from 2021 could be a route to limiting their validity to certain trading periods. The Commission’s newly proposed low-carbon funds have received less attention to date but are by no means insignificant. 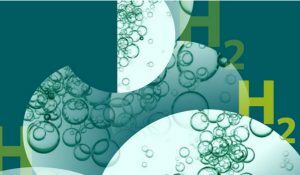 A new “NER400” fund will replace the existing “NER300” to make money available for low-carbon projects in energy-intensive industries (for the first time), as well as for renewables and carbon capture and storage (CCS). It will be funded by 400 million allowances sold by the European Investment Bank (EIB), topped up by another 50 million allowances from the MSR. The Commission estimates it could be worth €11 billion in total (this assumes a carbon price of €25 a tonne). In another change from the past, the NER400 fund will provide up to 60% (not 50%) of project costs and two-thirds of that can be given out based on the project meeting milestones other than avoided emissions. Money from the sale of another 310 million allowances (2 percentage points of the 57% share set to be auctioned) is foreseen as a “modernisation fund” for ten lower income member states to help them modernise their energy sector. 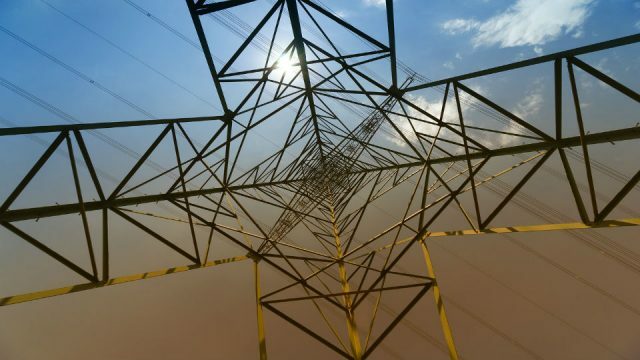 Thirdly, as per the October summit’s conclusions, Central and Eastern European countries can continue to give some free allowances to their power sectors. To ensure greater transparency, the Commission proposes a new competitive, national bidding process for projects worth over €10 million. Member states are free to set their own criteria, but must report to the Commission on selected projects. The Commission also proposes guidelines such as: projects must “contribute to the diversification of their energy mix”. NGOs are looking to the EIB’s involvement to ensure a positive climate impact (in the past, there was much controversy over such free allowances supporting old fossil fuel plants). The Commission is also encouraging countries to spend some auctioning revenue on climate finance for developing countries, although – as for compensation of indirect carbon costs – it has no powers to enforce this. Nevertheless, the International Emission Trading Association (IETA) is jumping on it as a way for member states to invest in international offsets in a future global carbon market. “International credits have a role to play. We firmly believe that the option to use them should be preserved,” says Sarah Deblock, IETA’s European policy director. The Commission has delivered an adequate proposal that nonetheless disappoints those who had been hoping for deeper reform – in either direction. Gone are the imagined expansion to other sectors, an invitation to consider a higher emission reduction target, and a definitive end to over-supply through cancellation. 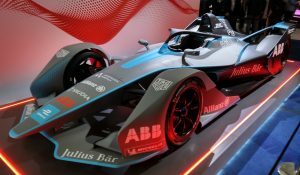 Instead, there are more up-to-date benchmarks and production data, fresh money for low-carbon innovation and a faster emission cap decrease after 2020 to rejoice or fret over, depending on your stake. The Commission has come up with the politically possible. Now it’s up to MEPs and member states to turn it into the politically desirable. The whole discussion reported here is being based on a supposition that the EU ETS works. Patently it doesn’t. We are tinkering with the minutia when the fundamentals are wrong. The EU ETS is presumed to operate as a financial incentive for investment in alternative energy sources to conventional “free burn” (i.e. CO2 emitting) fossil fuel systems when the so called “price of carbon” reaches a tipping point. This tipping point is reached when the combined cost of free burn systems together with the EU ETS price of carbon exceeds the cost of alternative systems which do not emit CO2. This tipping point has never been reached so the system has never been activated. Hence no investment in alternative energy has ever taken place as a result of the EU ETS. 1: To achieve the tipping point the “price of carbon” on a universal carbon market would be necessarily high (c. €30 – 60 €/ton) and from the day on which tis occurs every carbon emitting industry throughout the economy would immediately be priced out of world markets. Unless the policy becomes simultaneously world wide, it can never be allowed to happen. 2. The entity being traded on the “carbon market” is not carbon, it is not carbon emissions, it is carbon emission permissions. Any market works on the principle of supply and demand. The supply of these “permissions”, the EUA are merely tokens printed be governments. They are massively over supplied so the market price is negligible and confidence in potential investors that they will ever be made available in reliable and transparent way in unlikely so no investment will occur. A) Market Balance: Every time an emitter abandons the process causing the emissions and replaces it with a non-emitting alternative, the demand for emission – permissions is reduced so the market price for such permissions falls and the incentive for investment in alternatives is reduced. b) Timing: The time between the plan of investment in alternatives, the FID, the design, the construction and commissioning of a new plant typically takes 5-10 years. The market for EUA shift on a second by second basis and has a long history of instability. This is not a realistic basis for an investment decision. 4. Too many aspects of the whole process are bureaucratically controlled and politically influenced to allow any realistic possibility of private capital investment. There is a better way which involves changing the basis on which the incentive for investment from a price of emission permissions to a controlled availability of the emission permissions in accordance with the scientifically determined tolerance for CO2 (eg. the IPCC curve). To distribute these through a conventional market based process and allow the price to be whatever the market determines. The necessary control of emissions therefore is always achieved and is not dependant on price of permissions. Finally, a better way of achieving the required result is the make the key variable in this puzzle not the emissions themselves but the fossil fuel production which always creates them. If we do it this way we bring in the E&P industry with its huge resources to be a key player in the solution. Such a scheme is RedHydrocarbon which is able to neatly solve the present problems.